FEMAP is a CAD independent Windows-native pre- and post processor for both standard and advanced engineering finite element analyses (FEA). FEMAP provides high-quality support for industry standard solvers, including NX Nastran, Autodesk Nastran, MSC/MDNastran, Abaqus, Ansys, MSC.Marc, LS-DYNA, SINDA and TMG. 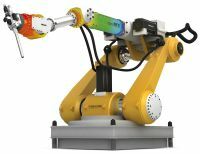 midas NFX provides a high-performance finite element pre-processor that represents an interactive and visual environment to analyze design behavior. Through series of steps from generating an analysis model using a CAD model to analyzing its response to generation of an automatic report, midas NFX guides the users to effectively conduct the entire process of analysis and evaluation of results. midas MeshFree is a cutting-edge design and analysis technology developed through the collaboration with SAMSUNG Electronics. 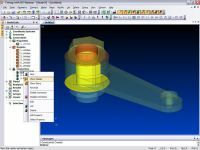 It performs simulation of the original model you have designed without any modification. Conventional FEM required tedious and time consuming model idealization and cleanup process. However, MeshFree has the latest, efficient and effective numerical analysis algorithm that can simulate using the original 3D CAD model itself. SimWise4D is a software tool that combines 3D multi-body dynamic motion simulation with 3D finite element analysis and optimization in a Windows based, CAD neutral product. SDC Verifier or the Structural Design Code Verifier is a powerful postprocessor extension for FEA software suite Femap™, Simcenter and Ansys which automates the full FEA workflow.